BIOMATRIXTM uses bio-enzymatic action that digests and clears away organic waste material. This natural process results in cleaner, fresh-smelling toilets and free-flowing drain lines. It also dramatically reduces the pollutant load of toilet effluents that ultimately discharge into the environment’s waterways. Saves costs. It requires no costly installations or complex equipment and each matrix lasts up to 2 months. Safe and hazard free. It comes in a convenient single block matrix form, which means no spills and leakage making handling hazard free. Furthermore, the controlled dosing prevents leaking and subsequent hazardous accumulation that can cause undesirable side effect. DOSAGE: 100 million colony forming units per gram. Lasts up to 2 months for most usages. For Urinals: Simply drop at least one BIOMATRIXTM onto flushable urinal bowl and slab, or inside water cistern. 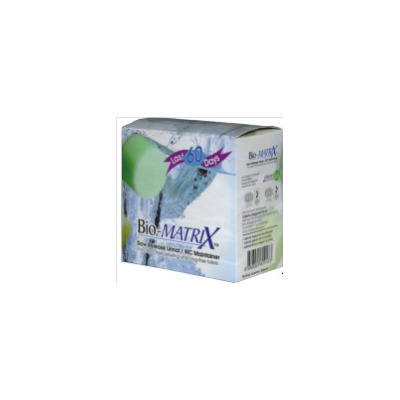 For WC Toilet Bowl: Drop one BIOMATRIXTM inside water cistern or more for large centralised water tank. 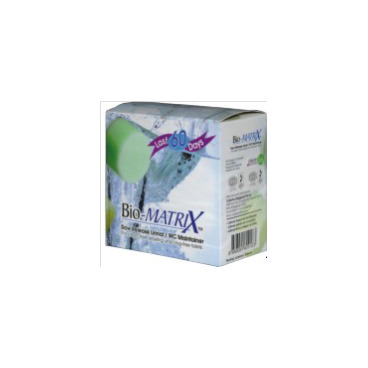 Use 1 BIOMAMTRIXTM to every 10 litres water tank, 5 BIOMATRIXTM for 50 litres water tank. DOSAGE - 100 million colony forming units per gram. Lasts up to 2 months for most usages.